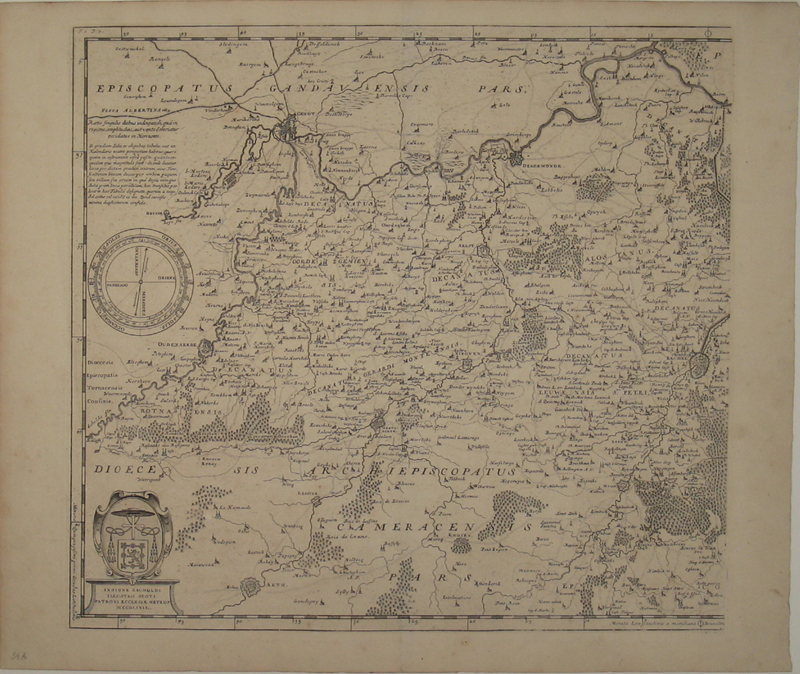 Titled : Descriptio Geographica Archiepiscopatus Mechliniensis, Primatus Belgy et Episcopatuum Antuerpiensis, Yprensis, et Ruremondensis, Metropolis. 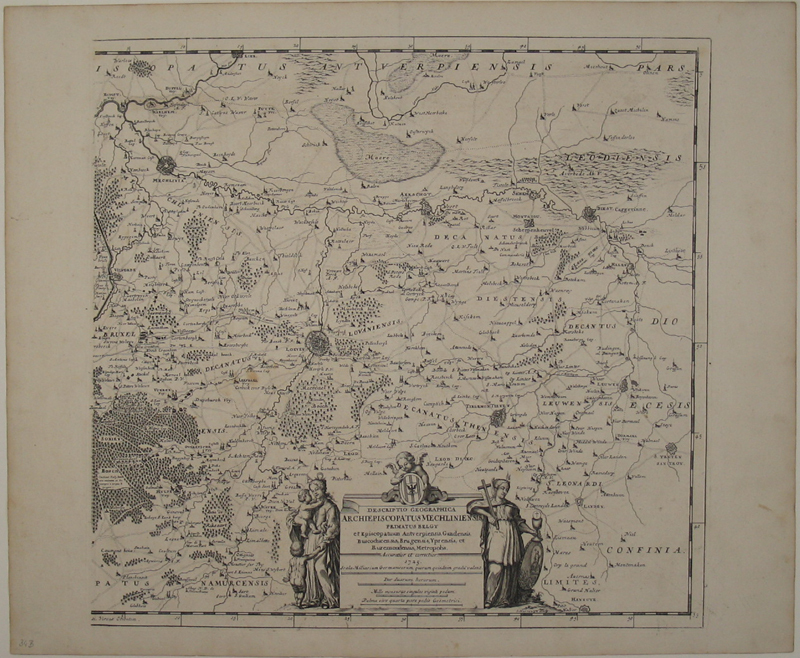 Double-page engraved map marking churches and other religious institutions as well as cities. Verso blank.